There is room for a great social media app here, so officially I’m announcing “Infusions With Friends” — everyone needs a game to play while they’re stuck in treatment and when you begin to realize how many people are not only going through chemotherapy at the same time as you, but often having their treatment on the same day, it just makes sense that we ought to be able to hook up and make a game out of it. And if for whatever reason, one or another of us cannot join in the treatment fun as scheduled, it still is nice to have a way to feel inclusive and play along from home. The free hand was holding a smartphone and could have been playing Infusions With Friends! If we, as a society, could allocate just an additional $120 million each year toward research and development of new cancer treatments, that would seem like a great idea. Because there is a lot of money out there already directed at existing therapies, running clinical trials of proven concepts and supporting the refinement of effective treatments already in existence, it also seems like a great idea to take this $120 million and direct it toward new concepts and approaches that are not yet mainstreamed into Western Medicine. This is the reason, I suspect, that over the past twenty years or so, Complementary and Alternative Medicine (CAM) has morphed into Integrative Medicine and has been granted enormous research subsidies and acceptance within many mainstream health institutions. Allocating even a mere $120 million is a huge responsibility, so it also seems like it would be a great idea to carefully vet the areas on which the funding will be spent. Here is some amazing news: the actual amount of government funding for research on Complementary and Alternative Medicine in 2015 and 2016 has reached $369 and $378 million annually, according to the National Institute of Health. This should be a Golden Age of Medical Advancement! Sizable annual funding being made available outside of the mainstream of modern medicine must be the answer to why there has been no definitive Cancer Cure. 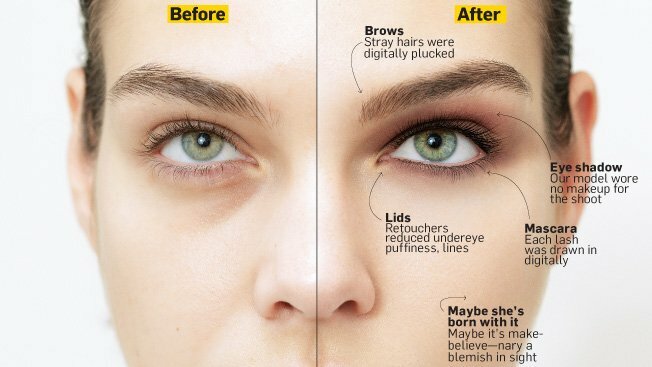 Will New Attitudes and Regulatory Oversight Hit Delete on Photo Retouching in Print Ads? | Adweek. It’s true, people do make unhealthy lifestyle choices based on images that they see in print, especially advertising media that purport to show the ideals of beauty. As amazingly idiotic as it may seem, there are still plenty of people who will overlook the obvious nature of retouched images and still consider the ideal plausible; starvation, manic exercise, dubious diets and loads of money wasted on beauty products are the result of this determination to fight against reason and strive for an impossible body image.